Taking as a bow the great weapon of the Upanishad. One should come to be in IT, as the arrow ( in the mark). dissolves – He is God! May He endow us with clear intellect. Meher Baba was a remarkable Indian mystic who like Prabhupad ( Hare Krishna Movement) and Yogananda ( Yogada Self Realization L.A.), took the message of Indian mysticism to the West early in the 20Th century. I learnt about him during my posting in Sydney where I came across his ardent Australian followers. Meher Baba established a spiritual centre near Brisbane where he would visit often when not lecturing in the USA. I visited the centre, escorted by his young enthusiastic Australian disciples deep in the woods where the Ashram was located. They had preserved the room in which their Guru resided during his visits. 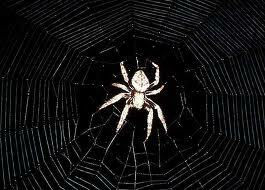 On entering the room I felt his aura quite distinctly. 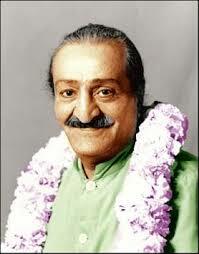 Meher Baba had passed away ten years earlier but was regarded as an Avatar by his disciples. The literature which his disciples gave me left a lasting impression in shaping my concepts regarding God and the Soul. Though Meher Baba was born of Zoroastrian parents of Persian origin, called Parsis in India, his mystical inclinations were rooted in the non-dual (Advait) philosophy of Hinduism combined with Sufi metaphysics. 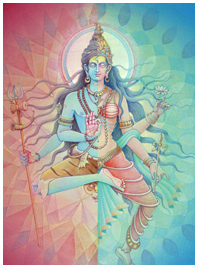 He sought to match and correlate the two streams of mystical thought into one body, showing that in essence they conceived of the same truths regarding Godhead. Though his discourses in the West covered a range of subjects, what impressed me greatly was his seminal hypothesis regarding the nature of God and the Soul. While most of these concepts and revelations can be found in the Upanishads and the Advait ( Non-Dualism) of Vedantic philosophy, through his mystical interpretations and the correlations with Sufi thought, a fresh and wholly extraordinary presentation provided unique insights into a subject which can become tortuously difficult to grasp for the layman. His book ‘God Speaks’ – The Theme of Creation and its Purpose ( Dodd, Mead and Company, New York, 1973) is aptly dedicated ”To the Universe – the illusion that sustains Reality”. 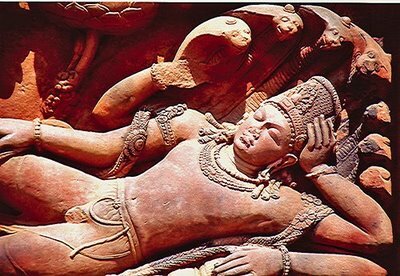 He describes the primal reality of God as being the ‘Beyond Beyond State of God’ which Hindu scriptures call ‘Paratpar Parbrahma’ and the Sufis as ‘Wara – ul – Wara’. In this state God is infinite, unbounded and absolute but not conscious of his infinity and attributes of universality, infinite knowledge and infinite bliss, glory and beauty. As He is one without another, this conception of Him I like to understand as that of an innocent child without ego who is not even aware that He has a name or identity. In this pristine state of purity god is neither self conscious nor conscious of himself. Meher Baba asserts that His consciousness is in fact latent as a ‘Nothingness’. It is in this primal state that a ‘whim’ arises like a tidal wave in a serene ocean. the sufis call it the ‘Lahar’ of God which is an original urge of self consciousness in which the first ‘word’ is uttered by god – ‘who am I’. This is the original infinite whim. This urge to become conscious produced the tidal wave of creation, a manifestation of infinite Nothing (illusion) latent in His infinite Everything. Meher Baba uses the analogy of shadow to explain the whim. The shadow of Nothingness is latant in us. So too it is latent in God. I tried to conceive what he was saying in the following manner – in a room we may have no shadow. but out in the sun ( of self consciousness) a shadow appears. So too the whim of self consciousness of God produces His shadow of creation – like the shadow it is an illusion. The unfolding of creation through the self conscious query of the whim was no more than a shadow of god, a nothingness. Another analogy is that of a dream. The shadow of creation, an illusion, arose from what he calls the ‘Om-Point’, a finite point which produced the infinity of Nothingness of creation. 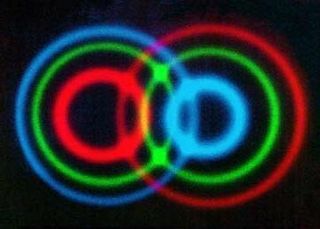 The ‘false’ apparent infinity of Nothingness of creation was a response to the primal self conscious query ‘Who am I’ which by virtue of being posed created a divine ego and apparent duality out of Nothingness, ‘entangling’ Him in the maze of most finite Nothingness. This was absolutely necessary in order that God in His infinitude acquire consciousness of His unbounded, unlimited, infinite nature of power, knowledge and infinite bliss. Not conscious God in the primal ‘Beyond Beyond State’ thus began the journey into acquiring consciousness of His Real Self through the whim of the self conscious query ‘Who am I’. This could be likened to becoming conscious of ourself when we look at the stark shadow that we see emerging from us. Here Meher Baba draws parallels between the soul’s condition as bound in a human gross form and that of God. He asserts that the soul is in fact none other than God in His primal state of beatitude though unconscious of it.The original divine primal state of not being conscious is like the deep sleep state of the gross body where the soul has no ego, no form and no identity. In that sublime deep sleep state our souls are indistinguishable from the primal state of God in the ‘Beyond Beyond State’ of lack of consciousness. Further parallels are drawn to the dream state when we allow our sub- conscience to produce in a dream, form and images with which we begin to identify as when the whim of God produces the dream of creation with which God identifies himself initially. 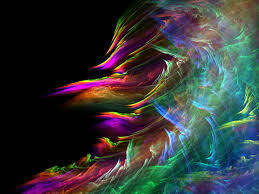 Then comes the waking state when we crystallize the dream concepts into the apparent reality around us. This Meher Baba interprets as consciousness as opposed to the unconsciousness of the deep sleep state and the semi- consciousness of the dream state. Here the parallel drawn is that of God awakening to consciousness through identification with man, the supreme evolution of gross matter. When God identifies with man as the ultimate form on the material plane He arises to His own initial consciousness. The soul in man is that God arisen to consciousness. (In the Mandukya Upanishad a similar presentation is made of the soul in the waking state, dream state, deep sleep state and the beyond state – see my post – Upanishads: the real Atman Soul/soul). The soul in man is however bound by the gross body, the subtle body and the mental body. 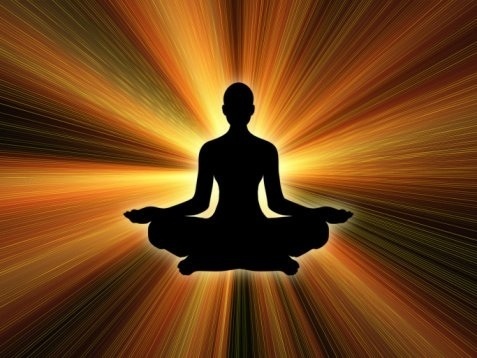 Through incarnations the soul seeks to counter the impressions (Sanskars) which arise from experience on the material plane of opposites, achieving a higher physical state, eventually from gross body to astral or subtle body with which it is endowed on the astral plane and eventually to the mental body, the last remnant of physicality. When the soul evolves through incarnations to that level, cancelling its Karmic impressions it is closest to the original state of the Godhead. Thus the last vestiges of physicality are shed with the Karmic impressions being finally overcome and the mental body is also cast away. Then the soul merges with Godhead. This process, it is important to remember is what gives God the answer to His original question arisen from the whim of self enquiry – ‘Who am I’ and it is this process that assists Him in realizing his true nature as eternal, infinite, blissful, perfect and beautiful. As Meher Baba says, creation arisen from the original self-conscious whim, is God’s loving gift to man, to enable the soul’s long journey through manifestation and reincarnation to arrive at its ultimate destination where it can enjoy the infinite state of the Oversoul and it is also man’s gift to God to help him become conscious of his beatitude and infinity. Meher Baba also provides an insightful and fascinating road map of God’s journey through the dream of creation culminating in total consciousness of His Reality. After traversing the infinite gross spheres of millions of universes He arrives on the gross world of earth moving as souls through stone and metal consciousness up to vegetable, worm, fish, bird, animal and human consciousness. He then moves up into the four planes of the subtle worlds and deeper into the fifth and sixth planes of the mental worlds ( through the evolution of the souls). On the seventh plane known to Sufis as ‘Fana‘ and Hindus as ‘Nirvikalpa‘, the Mind (the little self) is finally superceded and the soul experiences infinite power, knowledge and bliss. With this the ‘first journey’ is complete and the soul may be said to have ‘passed away’ into God. It is the five Perfect Masters who precipitate the advent of the descent of God on earth in a human form at the end of a given cycle as Prophet, Messiah and Avatar. The Sufis call such a direct descent of God as Fana-ul-Fana. The term direct descent implies that God becomes man without having to pass through evolution or reincarnation. This is not the case with Qutubs or Sadgurus who have indeed to undergo the entire tortuous process of evolution. The fourth divine journey involves shedding the gross, subtle and mental sheaths and experiencing infinite power, knowledge and bliss while ‘retaining infinite individuality’. Souls advancing to these spiritual peaks shed all vehicles and merge back into divinity or one may say once again realize, having shed illusion, that they are none other than God. The Atma now becomes the Paramatma which indeed it always was. This according to Meher Baba is the ‘Beyond state of God‘ which the Sufis call Allah, the Zoroastrians Ahuramazda, the Vedantins as Paramatma, the Christians Father and philosophers call the Oversoul – absolute, unlimited, infinite, the one without a second. 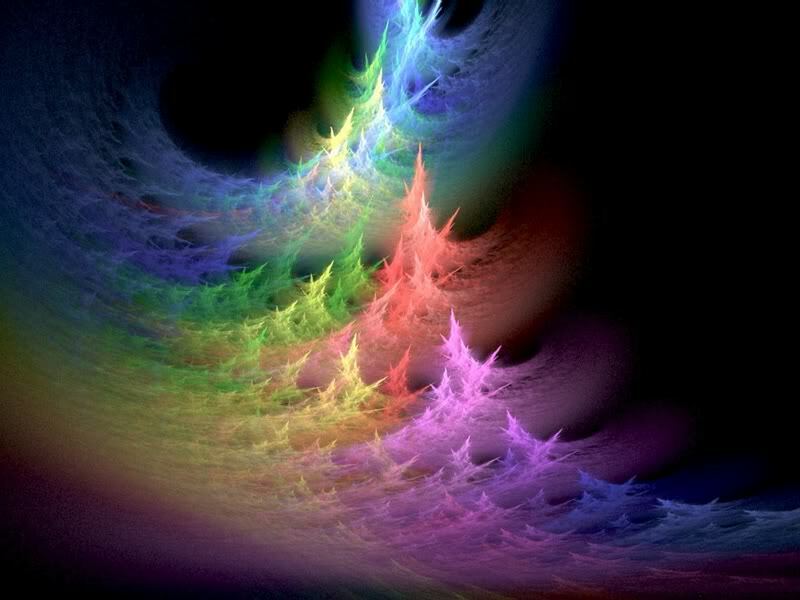 The dream of creation thus transforms God from the Beyond Beyond State of being infinite yet not conscious into the Beyond state of God which is infinite and conscious. 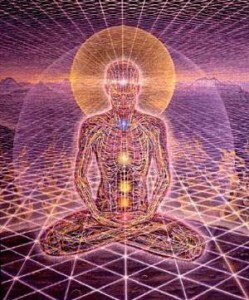 The divine consciousness now makes God absorbed in His Reality and fully conscious of it. The Beyond Beyond State however cannot be said to have been thus superseded. It is its own state which mystics like to perceive as beyond definitions where consciousness may appear both as absent and inherent. What a fascinating road map for us to ponder. The whole process from unconscious bliss to self conscious whim to dream of creation to returning through evolution back to Godhead and in the process acquiring consciousness, constitutes a magnificent cycle in which both God and ourselves are intimately involved. The somewhat incompatible outcome of the efforts of Upanishadic thinkers to reconcile the contradictions in the concept of Brahman through the dialectics of Realism had left disciples confused regarding the manner in which they were to conceive and meditate on the essence of Brahman. This was brilliantly resolved with the extraordinary intuitive discovery that the truth was not out there but right here within in the self. 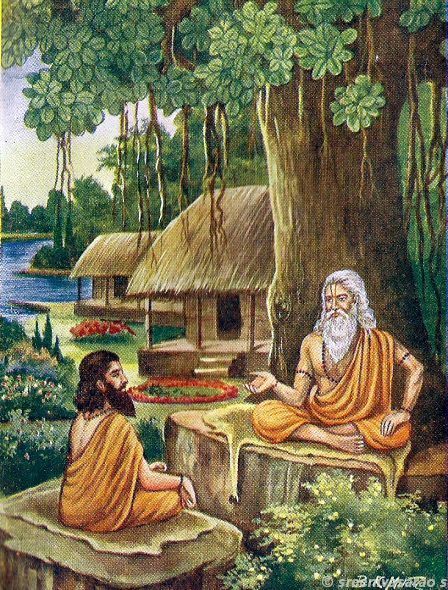 Disciples were told that there was only one way the search for unity of Brahman could be successfully experienced – not by looking for it outside in the illusory world of diversity or through strenuous intellectual acrobatics by trying to fathom and comprehend the qualities and nature of Brahman which was without qualities and incomprehensible. The only way was to look within, for the self was itself the unity they had long been searching for elsewhere. ”When one is sound asleep, composed, serene and knows no dream – that is the self.” the unity with Brahman is a blissful state of consciousness in which individuality and all distinctions are overcome. The first is the waking state – the individual moving and living in the phenomenal world. It enjoys and consumes gross matter. The second is the ”Shining One inwardly cognitive” when in dream filled sleep. It enjoys subtle dream objects which arise from dream memories. The third is the deep sleep state ”just a cognitive mass, consisting of bliss and feeds on bliss”. Here the self becomes undivided in dreamless sleep and is pure blissful consciousness. This indeed is the Lord of All ( Sarveshvar), the Omniscient ( Sarvagyana ), the indweller ( Antaryami), the source of all (Yoni – the great womb), this is the origin and the end of all beings ( an apt description of what we generally term as God ?). However, all four aspects together constitute the whole of Brahman/Atman. 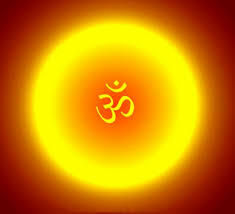 Furthermore, according to the great Madukya Upanishad ( and specially intended for those who wish to meditate on the self) these aspects together can also be discerned in the sphere of sound ( Hindu creation myths begin with the resonance of sound rather than the unleashing of light) as the syllable Om ( A U M ), each of the states corresponding to one of the letters and the fourth to Silence – A is the waking state, U the dream state, M the deep sleep state and the fourth is silence within which the resonating sound of OM arises, vibrates and subsides. This is a manifestation of Brahman-Atman as a syllable. This resonating sound is the whole of this visible universe, past, present and future and the fourth, silence is what is beyond time. All stages of the sound are as important as the silence which precedes and follows its utterance as it is their totality that constitutes the universal essence of Brahman-Atman. 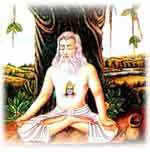 Practitioners of Yoga are told that with this resounding sound they can begin to sense the unity of Brahman. We see that thus was the final unity of Reality reached by the Upanishads, moving from Realism to Idealism. The syllable Om symbolizing Brahman-Atman has today come to represent Hinduism as the Cross has Christianity, the Crescent Islam, Yin Yang the Tao and the Menorah and Star of David, Judaism. As I said it is on U Tube and is titled – ” HOW TO ACCESS YOUR SUPERCONSCIOUSNESS’ ‘ – really worth a visit. In that epoch sages and seers sought to convey complex philosophical and metaphysical concepts to their disciples and lay folk through parables, similes, analogies and metaphors. 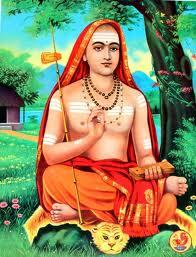 The idea of Brahman was conveyed through numerous metaphors that became popular and are used to this day. 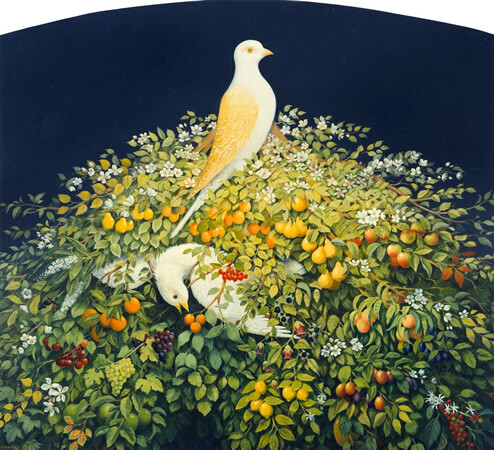 The bird that eats the fruit is the individual personality, the tree is life and the one that watches is the soul an aspect of Brahman.